In just a few days, Dell Storage Forum 2012 kicks off at the Grange St Paul’s Hotel in London. I will be in attendance and I hope that you will have the chance to join myself and the rest of the Dell staff and of course an array of storage customers, channel partners, enthusiasts, and analysts. At DSF your appetite will be satisfied with Executive lead Keynote sessions, Breakout sessions delivered by Technical Experts, Instructor lead training, and Hands-on/Self-Paced labs covering Compellent Storage Center, Dell EqualLogic, and PowerVault storage. This venue won’t be an exact carbon copy of past DSF events. Dell Storage will be showcasing an updated product roadmap and we’ll also see new product announcements. One of the announcements you’ll hear about is the availability of Compellent Storage Center 6.0. As a Technical Marketing Product Specialist who spends all time working on the VMware integration points, this is a release I’ve been looking forward to since starting my career at Dell Compellent in May of last year. This is a significant launch for Dell Compellent from an architectural perspective. SC 6.0 now leverages the FreeBSD 64-bit platform. The 64-bit architecture is the springboard for new features launched this week (such as multithreading opportunities and 12GB memory per Series 40 controller) and will serve as a key enabler for future scalability, integration, and feature enhancements. On a side note, VMware also released a 4th VAAI primitive in vSphere 5 focusing on Thin Provisioning for block storage arrays. However, shortly after the release, VMware pulled support on this primitive (applies to all storage vendors) to work out some kinks. I wrote about that here. 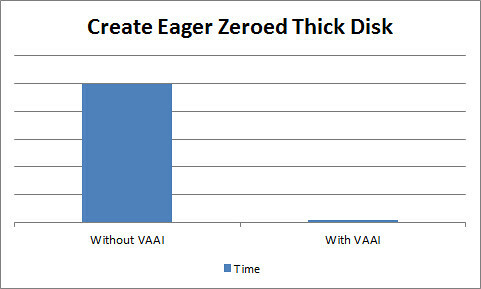 VAAI excites me because of the performance and scalability gains it brings to the vSphere virtual datacenter in addition to vSphere bolt ons such as VMware View and vCloud Director. Find more details about VAAI at VMware KB 1021976 vStorage APIs for Array Integration FAQ. 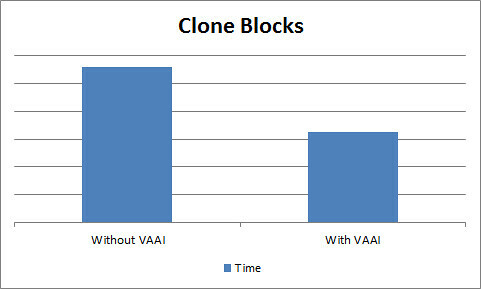 I’m not surprised that VAAI improves thin provisioning so dramatically, but I would expect a bit better improvement from cloning. I imagine this will be further refined in future versions of Storage Center. Can you also take a look at utilization on a busy system with ATS enabled? HP showed some real gains there, and I bet Dell/Compellent will too.